When we walk into a retail store, we are all conditioned to think we need to buy a screen cleaning kit when we buy a new TV. Some HDMI lead manufactures actually bundle it in with their leads to make a package “deal” out of it, but what’s the right way to clean your new TV screen. First off, don’t worry about buying that screen cleaning kit, it’ll be $15 you’ll never see again, secondly NEVER use and cleaning product as the corrosive solution with-in can damage the protective coating on the screen. So what’s the best way to clean a screen? The only way you should clean your screen is with a microfibre type of cloth and softly wipe it down, NEVER rub hard as pushing down on the screen can damage the pixels on the screen. If there is a stubborn spot that won’t come off, wet the cloth with some water and wipe it down again. If the spot is still being stubborn, use a 50/50 mix of water and vinegar and then wipe it again, NEVER use a paper towel or tissue paper as it’s not designed to wipe down sensitive devices, those products were only ever designed to wipe down a kitchen bench and liquid spills, ONLY ever use a microfibre cloth, that’s it, cheap and easy. 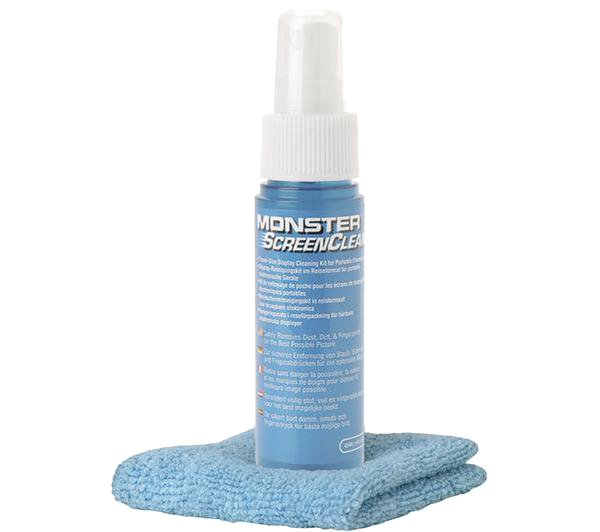 We never have and never will sell a screen kit but if you still feel you need to buy one, just walk into any retail store and open up your wallet and ask that sales person to help them self to your money, that’s what your doing if you feel you need a screen cleaning kit.